Select: Select a Section Awareness Month Member Stories 2018What’s Your Story? We’d love to hear it! May i s Ichthyosis Awareness Month! Be a part of the worldwide effort. May is Ichthyosis Awareness Month (IAM). During May we encourage families and friends around the world to join together, use their voices, and raise awareness about the challenges and hopes of the ichthyosis community. Simply handing out educational information, or taking the time to talk to neighbors, friends, co-workers and community is one of the best ways to show you care. 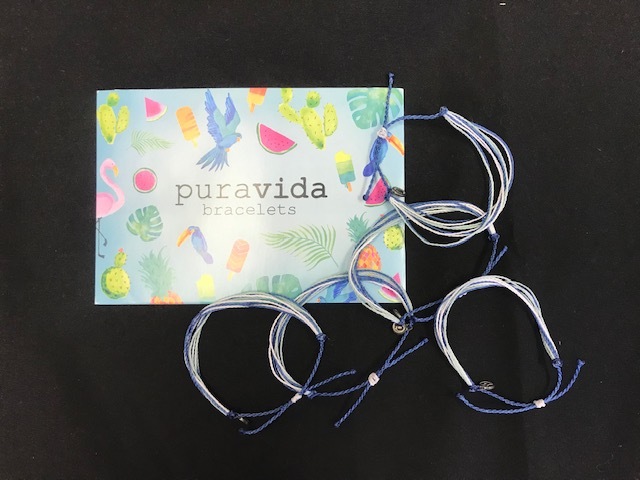 In celebration of Ichthyosis Awareness Month, for each donation of $20 or more, you will receive one of these beautiful Pura Vida Bracelets! Wear you support during Ichthyosis Awareness Month. Make your donation here! Are You on Facebook? Twitter? Instagram? Educating your local community is very important as it can make day-to-day life much easier for those affected. In addition to sharing your story on social media, one of the easiest ways to spread the word in your community is to do an interview for your local newspaper and share your personal story. Or, contact a local radio station and let them know you or a family member has a rare skin disorder and that May is dedicated to raising awareness for research of better treatments and cures.